As promised from my last dessert post, this next post is about Hamentashen! 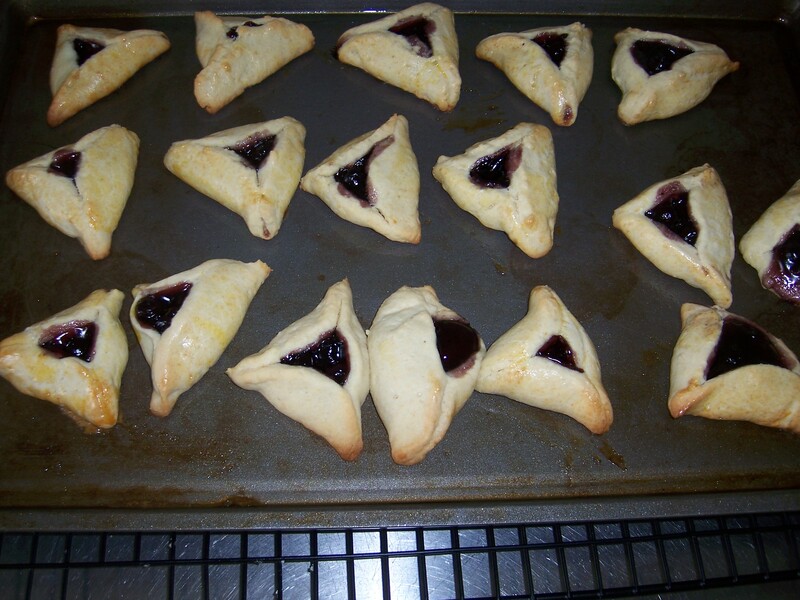 Sure, Purim was a week ago, but Hamentashen could really be eaten year-round. I made these little goodies for the Oscar-watching event that took place last night. They are basically little pies/turnovers that are triangular in shape. The process is quite simple, that you make the dough, let it chill, cut out circles, add filling, and place on the cookie sheet. Then the forming of triangles and egg washing the outsides. I found the recipe in what has now become one of my favorite cookbooks, The Field Guide To Cookies. take one piece of dough from the refrigerator. using a 2-1/2-inch cookie cutter, cut out cookies and place on sheets two inches apart. drop 2 teaspoonfuls of filling in the center of each circle. lift one side and firmly pinch each of the two corners. repeat this two more times, forming a triangular shape. in a small bowl, whisk egg yolks. brush the sides of each with the egg wash. bake 15 minutes or until browned, rotating sheets halfway through baking time. 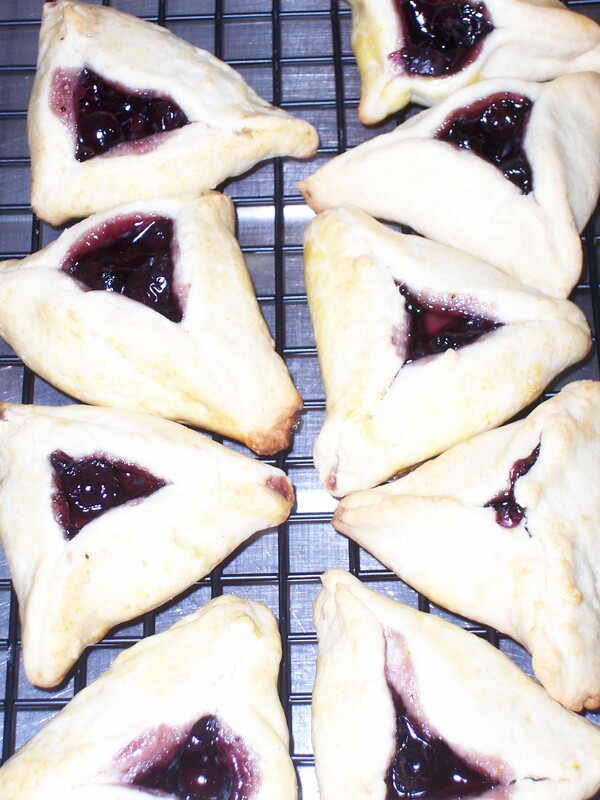 This entry was posted in blogs, celebration, cookie dough, cookies, dough, Hamentashen, holidays, inspiration, Oscars, party, Purim, recipe. Bookmark the permalink.